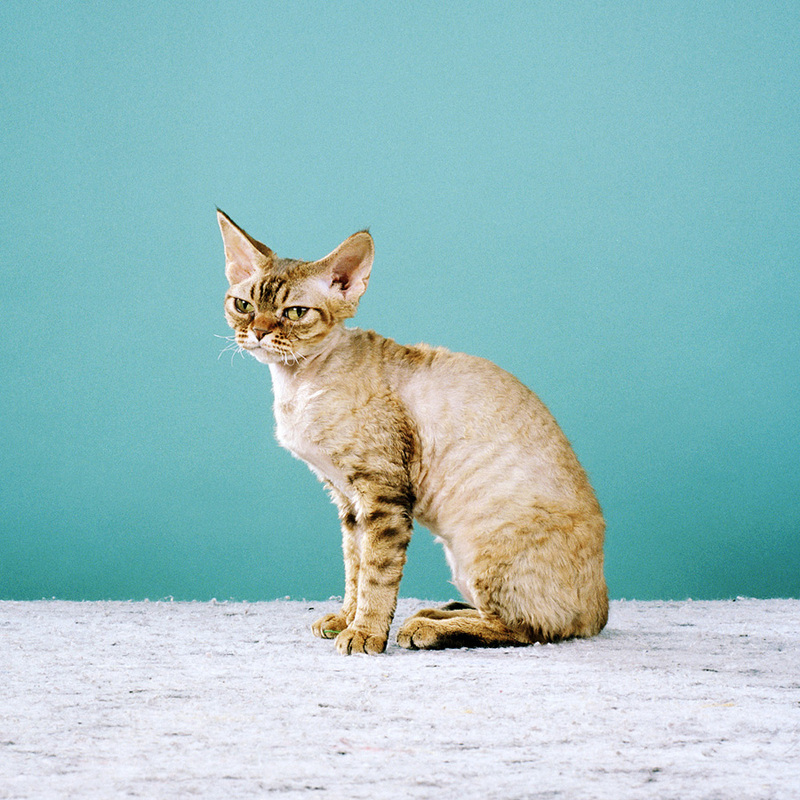 Jamie Campbell’s cat photographs are not intended to be an over-arching dive into the emotional capacities of his feline friends, nor are they easily dismissible as short-lived memes. 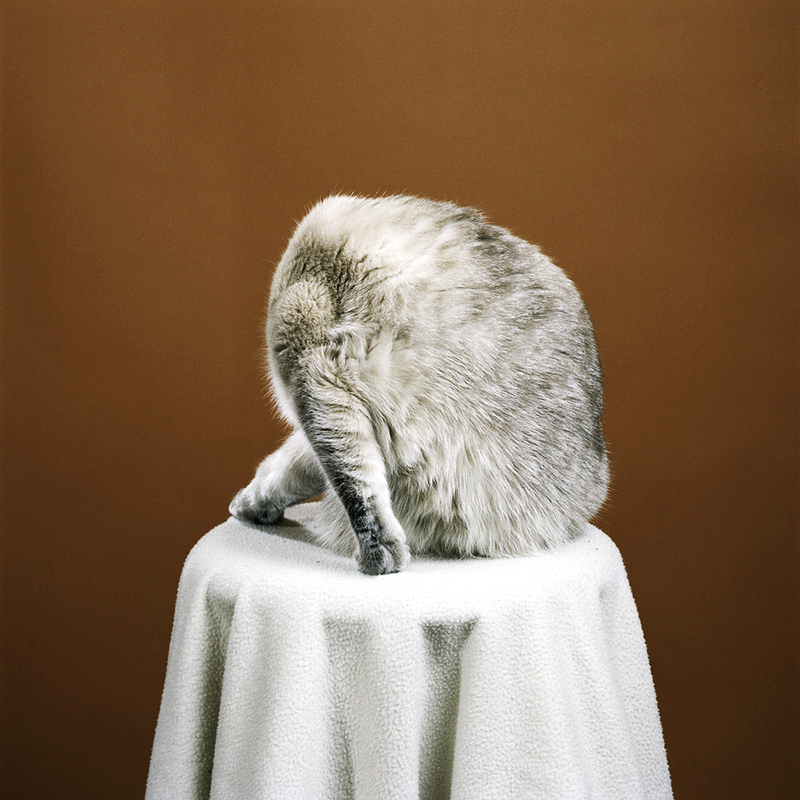 Like many of the photographers included in Humble’s 2014 exhibition “New Cats in Art Photography,” they are intermediary muses that serve as thoughtful pauses between his commercial work and long-term personal projects. They scatter throughout his blog, Instagram and occasionally find their way into other series, but rarely appear as their own set. When grouped together, however, the images become an accidentally cohesive body of portraits that are consistently curious and empathetic. 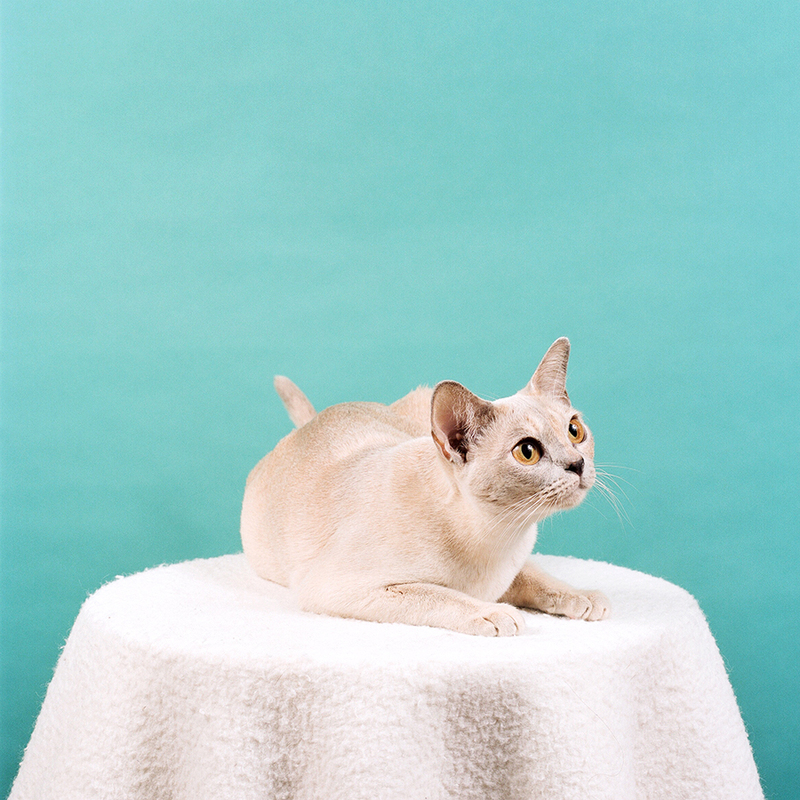 Since cats tend to be fickle photographic subjects, Campbell transports his studio setup to each individual cat’s house in order to put them at ease. His process is generally hands-off, and often relies on waiting patiently, sometimes up to 10 minutes at a time before shooting even a single frame. 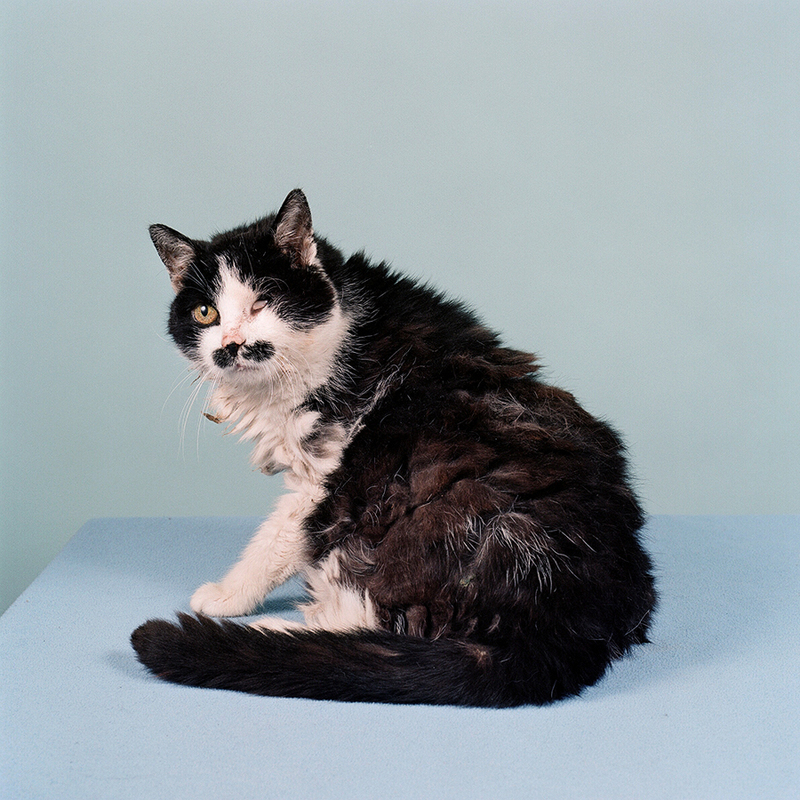 While Campbell self-describes his cat pictures as being cold, unrevealing one-offs, this work is in many ways tied to his personal relationship with cats - one that goes much deeper their objectified qualities or superficial quirks. 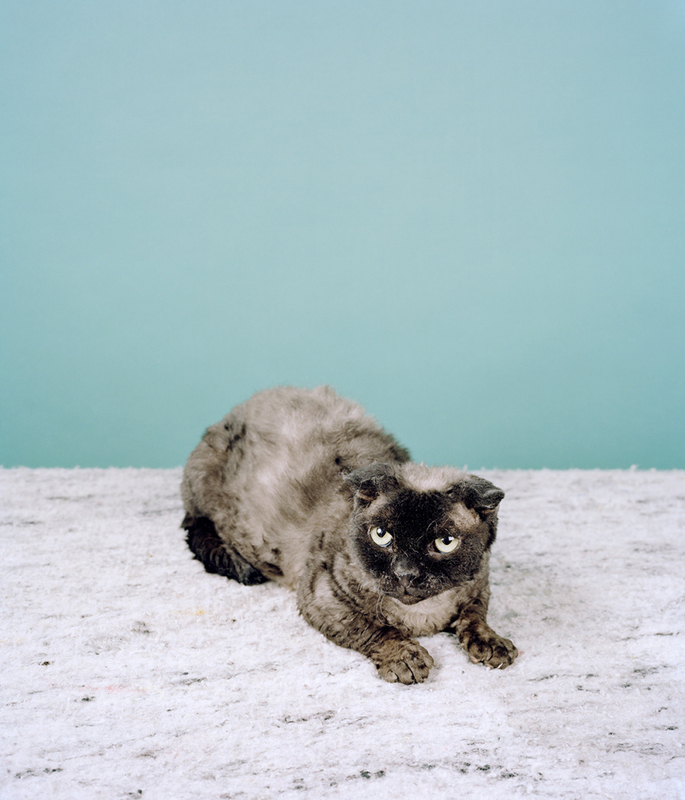 Campbell began photographing cats regularly after he developed a fascination with a specific cat named “Adam” he found on the Internet. 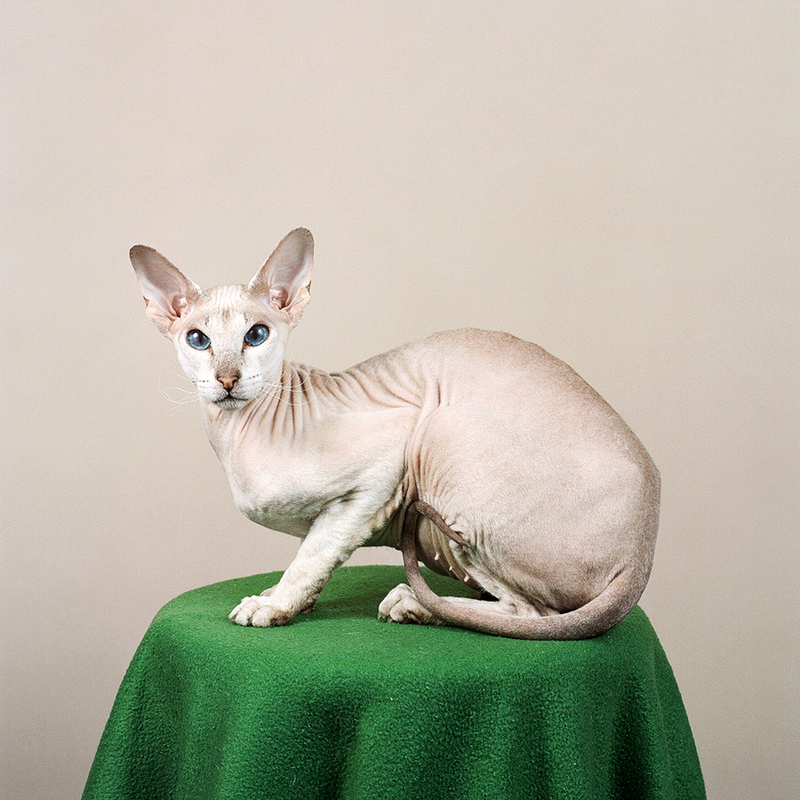 He was drawn to Adam -- a cross between three breeds: a Scottish Fold, a Devon Rex and a Munchkin -- for what he saw as “heroic” qualities that represented a strange and powerful metaphor for self-determination. Bio: Jamie Campbell was born and raised in Niagara Falls, Ontario. In 2006, he received a BFA from Ryerson University in Toronto. A recent MFA graduate from Concordia University in Montreal, Quebec, his work creates fictional narratives that display introverted moments of vulnerability and the exhaustion wrought by defeat. Campbell currently lives and works in Toronto.